Aaron’s Key West Weddings can arrange the Key West wedding of your dreams. Whether you plan on having just the two of you or close family members and friends, Aaron’s Key West Weddings has packages to choose from or you can customize a wedding based on your desire and your budget. Have you set a date? Where will it take place? How many guests will you have? 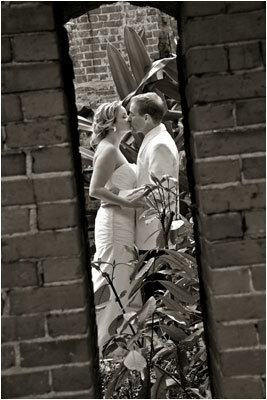 Aaron’s Key West Weddings has provided the perfect wedding day for hundreds of couples from all over the world. We attribute our success to the care and concern we have for each of our couples by offering our expertise, advice, and guidance gained over the years. Aaron’s Key West Weddings is staffed with knowledgeable, trained and competent coordinators with the skills necessary to help incorporate ideas into your wedding day. We strive hard to make wedding planning fun and exciting and stress is not in our vocabularies. Aaron has years of experience as a wedding coordinator/notary public. Aaron has officiated at Key West marriage ceremonies, commitment ceremonies, and renewals. He has a rich sounding voice and a relaxed presentation. Aaron’s people skills and concierge services can make your Key West wedding day one of the best days of your life. Aaron and his staff will easily and thoroughly discuss all the details of your Key West wedding. Remember, communicating with your Key West officiant is the first step in ensuring you will have a great ceremony! Contact Aaron today for more information on planning your Key West destination beach wedding.